Teejay Lanka, one of the region’s largest textile manufacturers, has announced a doubling of capacity of its Indian mill, following the completion of an expansion project involving an investment of $ 15 million (more than Rs. 2.3 billion at current rates). 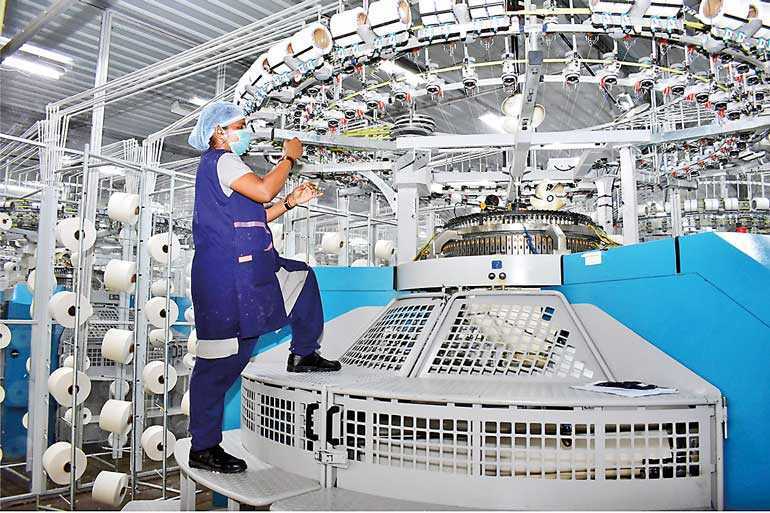 Located within the 1,000-acre Brandix India Apparel City (BIAC) in Vizag, Andrapradesh, Teejay India is now capable of manufacturing up to 42 million metres of Weft knitted fabric annually using state-of-the-art machines for knitting, dyeing, finishing and inspection, the company said. The expansion entailed the installation of state-of-the-art machinery for knitting, dyeing, finishing and inspections as well as fully-automated Packing Machines, a Lab Dip Dispenser for Colour Service and a chemical dispensing system. These can produce 12,500tons of fabric a year. The expansion has also generated additional employment opportunities for up to 276 people, the company disclosed. Commenting on Teejay India’s expansion, the company’s Deputy CEO Pubudu De Silva said: “We now have a remarkable new facility in India which is one of the best in BIAC and sends a clear message that Teejay is a global company which believes in high standards of production, and is ready to take on more orders. The decision to expand despite tough market conditions is likely to be one of the best the Company has made, as it equips Teejay to tap into the broader Asian and expanding EU business. The formal opening of the expanded Teejay India manufacturing plant took place recently with the participation of senior management of Teejay operations in Sri Lanka and India, major shareholders Brandix and Pacific Textiles of Hong Kong and representatives of key customers. Sri Lanka’s only multinational textile manufacturer, Teejay supplies fabric to some of the best international brands across the world. Teejay Lanka PLC is a public quoted company with 39 per cent public ownership. The company is backed by Sri Lanka’s largest apparel exporter, Brandix Lanka which has a 33% stake and Pacific Textiles of Hong Kong which owns 28 per cent of the company. Teejay has been listed on the Colombo Stock Exchange (CSE) since 2011 and was included in the S&P Top 20 Index in Sri Lanka last year. The Company has also been named among the Forbes “200 Best under a Billion in Asia and been recognised as the ‘International Textile Firm of the Year’ and the ‘International Dyer and Finisher’ by World Textile Institute, London. Teejay India was incorporated in 2009 as Ocean India Ltd. and became part of the Teejay Group in 2015, as a fully-owned subsidiary of Teejay Lanka. It was renamed as Teejay India Ltd. in 2016 with the rebranding of Teejay.